The Start of Something: The GeriActors are back for another year. Posted on September 12, 2014 at 3:00 am. On Thursday the GeriActors and Friends had our first rehearsal since the Festival of Edmonton Seniors Theatre (FEST) in June. After a year of filming, performances and workshops, we’re back from a much needed break, refreshed and ready for another year. The start of a new year dawns the beginning of a new group of students from David Barnet’s Intergenerational Theatre Class (Drama 427 at the University of Alberta) who will be coming in next week, with fresh ideas, new energy and perspective. 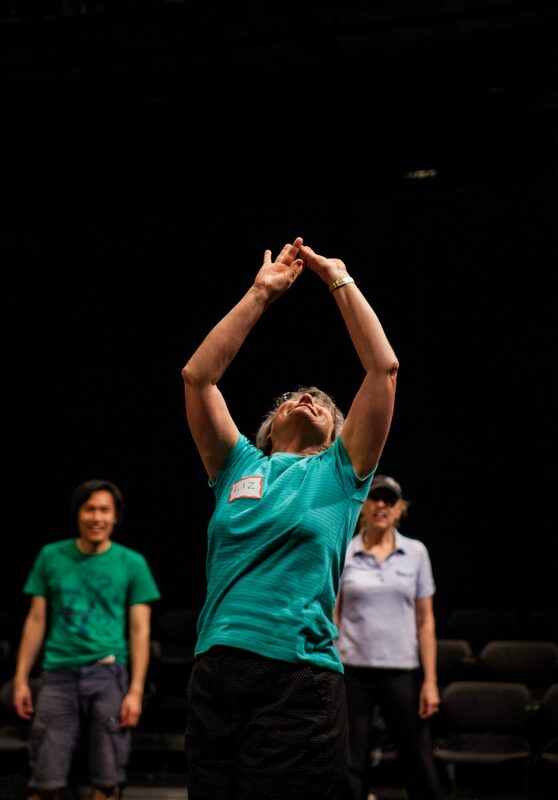 This September is also the start of a international collaborative project featuring facilitators Stuart Kandell the founder of StageBridge in California, Shula Strassfeld from Dance Exchange in Washington DC and the Artistic Director of the GeriActors and Friends David Barnet from Edmonton in a Storytelling, Dance and Shakespeare project developing intergenerational art through these modes of creation. There will be two free public workshops and a performance all taking place at the Second Playing Space, Timms Centre for the Arts on 87 Ave and 112 Street in which everyone is welcome to participate. Please contact Becca at 780-248-1556 or email her at geriactors.friends@gmail.com for further information or to register. We would love to see you there! Stuart Kandell is the founding Artistic Director of Stagebridge, the oldest seniors’ theatre company in the U.S., and a consultant with the National Centre for Creative Aging in Washington, D.C. His creative and research specialty is storytelling, and he has established nationally acclaimed programs. 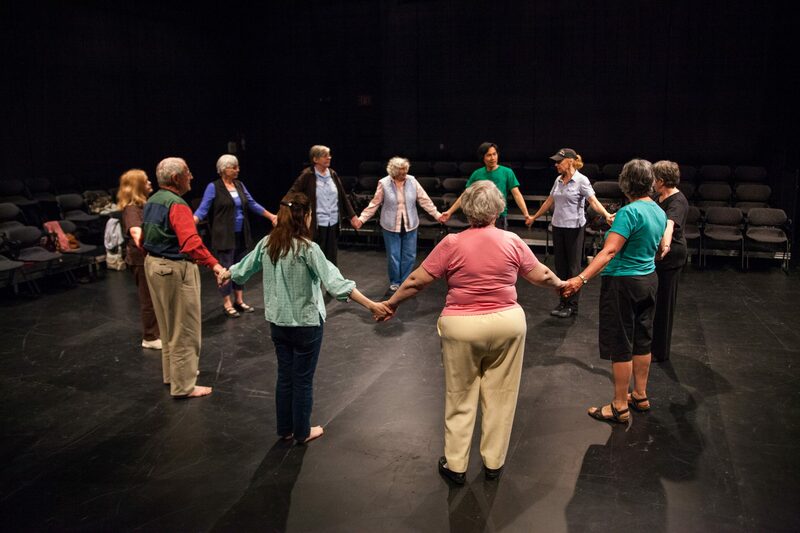 Dance Exchange’s choreography, which is accessible to people of all ages and abilities, uses personal narratives expressed through natural, everyday gesture. David Barnet, the founding artistic director of GeriActors, is a professor in the Department of Drama at the University of Alberta, where he specializes in community-based and ensemble theatre, and acting Shakespeare. He is the founding artistic director of Catalyst Theatre in Edmonton, Alberta, and has extensive experience in Popular Theatre and Theatre for Development in Africa and Asia. He is a 3M National Teaching Fellow.